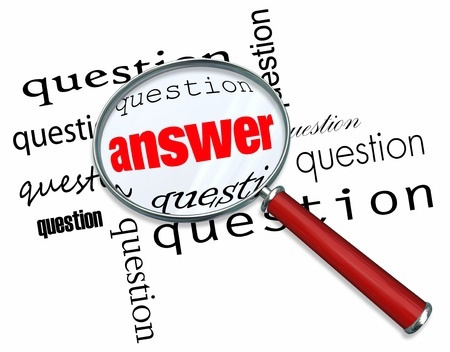 Here is a list of our most frequently asked questions. Clicking on the question will reveal the answer! How many people are in your shows? What is your lead time for booking dates? We try to be as flexible as possible. We’d like at least a month, but we may be able to accommodate a group with less time. Subject to cast availability. Are you the people on the train? As a major contributor to the entertainment market, we have developed a long list of satisfied customers. A list of our clients and letters of reference are available upon request. Yes – Visa and MasterCard. DEPOSIT: 20% non-transferable, non-refundable deposit; net 30 days on the balance (30 after the show). You are under no financial obligation, OTHER THAN THE 20% DEPOSIT, if you cancel the show at least seven days before the show date. CREDIT CARD: The Mystery Shop will be happy to accept your credit card number (Visa or Mastercard) to hold the date. If you cancel the show, we will process the 20% deposit from your card. We will invoice you for the full amount after the show, which is due within 30 days of the performance. NO DEPOSIT: We will waive the 20% deposit, but you must guarantee that, even if the show cancels, you are responsible for the full amount (not just the deposit) within 30 days of the scheduled performance date. For your convenience, final payment can be made via cash, check or credit card (Visa or MasterCard) within 30 days of the performance. You are under no financial obligation , OTHER THAN THE 20% DEPOSIT, if you cancel the show at least seven days before the show date. If you need to reschedule the original date, we’ll be happy to use the current agreement and deposit if you tell us the new date no later than two weeks from your phone call. For instance, if you call us on February 1 to let us know that you need to reschedule, you must give us the new date (any date) no later than February 14. If we do not hear from you by February 14, we’ll need to start all over again with a new agreement for the new date, and an additional deposit will be required. What if we have to cancel because of weather? This will be decided on a show-by-show basis (school closings, etc.). We will be as flexible as possible, especially since we don’t want to drive in bad weather either. We would like as much lead-time as possible, of course, so we have time to contact the appropriate cast members. We will be happy to work with you to reschedule. Yes. Our normal territory is the entire Chicago area and surrounding suburbs. We also have a two-tiered Time and Travel Policy (with additional charges) for locations outside of our regular area (depending on miles). Special arrangements can also be made for block bookings, etc. Ask for details. Do you belong to any professional groups? Yes, our professional affiliations include: the Chicago Chapter of Sisters in Crime and the Carol Stream Chamber of Commerce, and Mary Heitert serves on the Board of Directors for the Chamber and as the Chairperson for the Chamber’s Women in Business. Do you ever do shows late at night (i.e. post-prom, lock-ins,etc.)? Yes, but there is an additional charge if the show starts between 10:00 p.m. and 6:00 a.m. The show is also subject to cast availability. Ask for details. Yes. We have two children’s mysteries: Grades K-2 and Grades 3-6 and a children’s history mystery. The children solve a mystery with age-appropriate puzzles that are challenging, but accessible. Also, in keeping with family-sensitive values, there are NO murders in our children’s mystery programs – only good, clean baffling fun! The hands-on mystery workshop (M.O.D. Squad) can be adapted to any age – 9 through 90. Challenging for adults yet accessible enough for children (fourth grade and up). Our storytelling program is suited for any age. It’s ideal for mixed groups, where there is a wide range of ages – perfect family entertainment! Our murder mysteries are geared for adult audiences, but several of our scripts are perfectly appropriate for middle school and high school students. Do you use audience members as suspects and victims? No. We’ve chosen not to do that because of quality control. Our scripted mysteries are three dimensional and complex. We avoid caricatures and stereotypes (i.e., Tony the Gangster). There is a definite beginning, middle and end with a logical progression. We feel that including the audience as cast members relies too heavily on that “unknown factor” over which we have no control. Also, many people are uncomfortable “in the spotlight” and we don’t want anyone to feel uncomfortable, embarrassed, or under pressure. That is NOT to say, however, that there is no audience involvement. ALL of our programs are very interactive and participatory. They are also a lot of fun! The Mystery Shop is a traveling theatre specializing in children’s and adult interactive mysteries and programs. We are committed to providing quality entertainment to an active and involved audience. We stimulate the mind as well as the funny bone.